Home Bargains are offering a reward of up to £1,000 for anyone with information that leads to a successful prosecution following a theft at its Colne Road store. 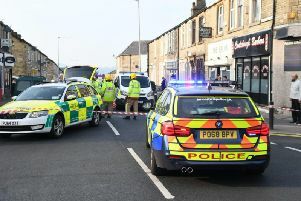 The discount retailer, which has over 450 stores across the country, is calling on witnesses to come forward following the incident at its Colne Road outlet on 7th April in which the thief stole a trolley full of plants, hanging baskets, and flowers. He was wearing dark trousers, black trainers, and a green puffer jacket with his hood up. Home Bargains is offering up to £1,000 to anyone with information leading to a successful prosecution, with a spokesman for Lancashire Police saying: “This was a brazen theft where the offender has literally walked out of the store with a shelving unit full of plants without paying for them. Anyone with information can call 101, quoting crime number: 949, or contact Home Bargains’ Crimestoppers line on 0151 547 4452.